So many stores and services offer special rewards and discounts for recruiting them new customers. No matter what you're into, there's a refer and earn offer for you! 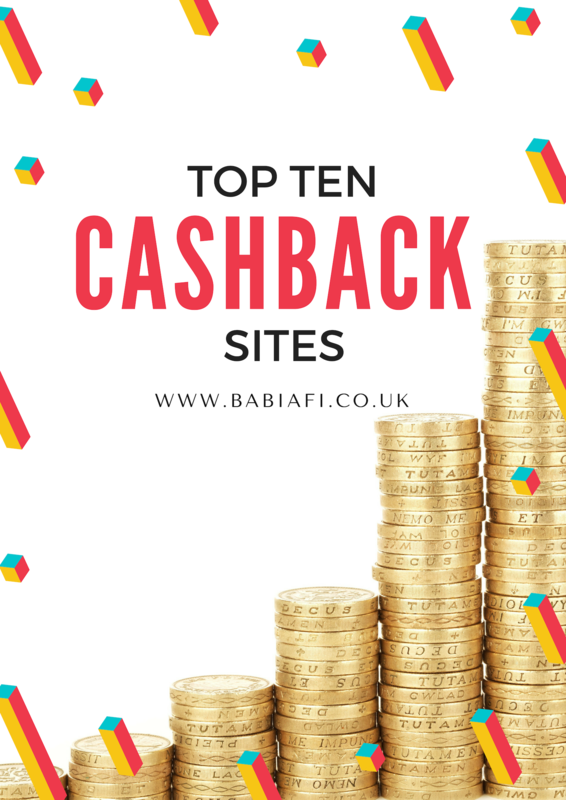 Some of these translate to straight up free and easy money through cashback or reward sites, others require you to be an existing customer or jump through several hoops - especially in the bottom section on banking and other money services. Note #1: I haven't included offers from recruitment agencies. Note #2: This post is doubling as a reference for my own accounts, so there are lots of my referral links and codes here. If something lacks a link it's because I don't have the advertised friend benefit to offer - please feel free to post your own in the comments! 20 Cogs. Get £20 when your friend completes 20 cogs (i.e. offers), and 5% of their earnings for life. £4.99 minimum payout + you need to complete 20 offers. Bank Roll Bucks. (US) Get 25% equivalent of whatever your referral earns. $1 minimum payout. BeFrugal. (US) Both get a bonus $10 when your referral earns $10 cashback. $0.01 minimum payout. Boom25. Get £3 for every friend you refer who makes a tracked purchase of £10 or more. Low minimum payout but processing fees to consider. Boundless. Get a £10 Love2Shop voucher for every friend you refer. Cashback Earners. Earn 5.00 CashCoins and 10% of their earnings from purchases. 20 CashCoins minimum payout. Cashback Kingdom. Both get £5 when your friend reaches the £25 minimum payout threshold. Cashbacker. Cashback site for online games and gambling - earn 5% of your referral's earnings for life. No minimum payout; you get cashback paid automatically at the end of each month. You also earn points for engagement and offers, with redemption starting at 1,000 points for £10. Coupon Arbitrage. Earn 5% of your referral's cashback claims. Plus you can earn 20% commission on app subscriptions. EPoints. Get 50 epoints (25p) per referral, capped at 10 a month. You can spend them when you buy through the site, which also gives you an extra 10% off purchases. Extrabux. (US) Your friend gets a bonus $20 if they earn cashback within the first few weeks, you get $5 and 5% cashback on your friend's earnings. $10 minimum payout, plus you need to have made at least one purchase through the site. Free Daily Draw. Each referral earns you an extra 100 tickets into the draw. Free National Lotto. Earn 10 bonus balls (i.e. 10p) per referral. FroggyBank. Get £2.50 for each referral who makes £5 through the site. Payout is through BACS only and the first £5 will be kept back as an annual membership fee. Gambling Deals. Get £10 when your referral earns their first £10 in cashback. Get Paid To. Get 15% of your referral's earnings, plus a bonus 10% if they make 1,000 points in their first 30 days. Payout in BACS or redeem for giftcards from 2,500 points. Gifthulk. Give 250 Hulk Coins, get points towards raising your level which gives you daily bonuses. Minimum payout is 5,000 HC for $5. Give or Take. Get £5 when your referral earns their first £5 in cashback. £25 minimum payout. Giving Assistant. (US) Both get $5. $5.99 minimum payout. Grab Points. (US) Earn up to 500 points per referral. Exchange for rewards from 2,700 points. Groupon. Get £6 credit when someone uses your link to sign up and purchases a Groupon deal within 72 hours. Honey Gold. 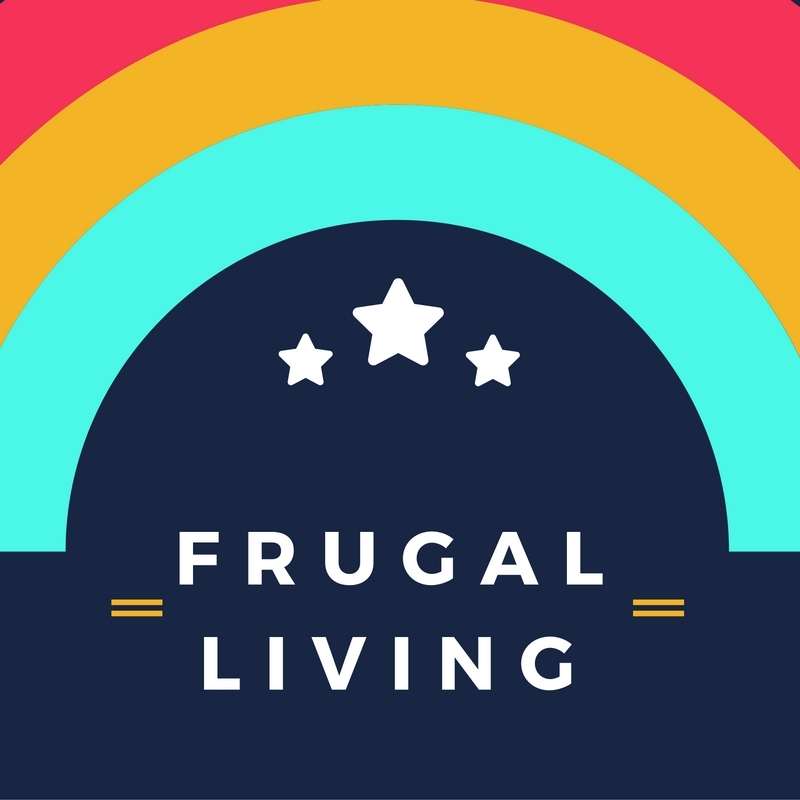 (Browser extension that will automatically find the best discount codes for various retailers.) Get 500 points ($5) when your referral makes their first qualifying purchase. Minimum payout is 1000 points, in the form of a $10 dollar voucher for Amazon US, Ebay US, or a few other stores. Not that great for UK users, true, but it can still be a useful tool. IMutual. Earn 100 bonus shares in this cashback company for every friend you refer. £1 minimum payout. Inbox Pounds. Earn 10% of the qualified earnings from your referral. £20 minimum payout. InstaGC. (US) Get 10 points for every referral who signs up and confirms their email address, plus 10% of their earnings. £1 (160 points) minimum payout, in giftcards. iRazoo. Get up to 500 points for each referral. My invite code is XEM7W8. $20 (12,000 points) minimum payout. KidStart. You get £5 when they earn £5 in cashback. Can only be paid out into a child's saving account. Latest Deals. This is a freebie / deals listing site that runs a reward point scheme, collect 5,000 for a £5 Amazon voucher. Refer a friend to get 250 points. Maximiles. Both get a bonus 1,000 points when your friend earns their first 1,000 points through surveys. Earn rewards from 1,800 points. Megabonus. Give 30% extra cashback, earn up to 50% of your referral's cashback. Good for all those super value online malls, like Vova and Banggood. Mr Rebates. (US) Get 20% of everything your referral earns. $10 minimum payout. Oh My Dosh! Your friend gets £1 - and you get £5 once they've earned £10. £10 minimum payout. Paid To Read. Get 15% of your friend's earnings. $15 minimum payout. Pick My Postcode. Increase your bonus in this free daily lottery with every referral. Pouring Pounds. Get 10% of your friend's earnings for life. £30 minimum payout. Prize Rebel. (US) Get 20% of your referral's earnings. $10 (1,000 points) minimum payout. Quidco. Both you and your friend get a bonus £5 when they earn £5 cashback. £1.00 minimum payout. Rewarded Surveys. Get 500 points per referral. £10 (15,000 points) minimum payout. Send Me Cashback. Both get £5 - you'll receive it when your friend reaches the £25 minimum payout threshold. Payout is by BACS only. Shopmium. (App) You get £3 when your friend redeems their first cashback offer, they get a referral offer to redeem. :) My code is yc7c5. No minimum payout. Shoppix. (Receipt Scanning App) You and you friend both get 200 tokens, no extra hoops to jump through. My referral code is 031JVTJD. £5 (3,000 tokens) minimum payout. Slice the Pie. (US) Get 20% of your referral's earnings for 60 days, and 10% thereafter. $10 minimum payout. Swagbucks. Get 300 SB when your friend signs up through your link and makes 300 SB in their first month. You also get a bonus 100 SB if they add the SwagBucks button to their desktop, and 10% of their earnings for life. Redeem for giftcards from 500 SB. TopCashback. Earn £5 for each friend you refer who makes at least £10 in cashback. Your friend gets £5, and there are usually good sign up incentives for new members too. £10 minimum payout. Treasure Trooper. (US) Your friend gets $1 for joining, you get 20% of your referral's earnings, plus bonuses based on number of referrals. $20 minimum payout. YouGov. (Surveys) Get 200 points when your friend completes 6 surveys. Minimum payout £50 (aka 5000 points). Zeek Marketplace. Give and receive £5 credit. Zoombucks. Earn up to 250 points when your referral reaches 1,000 points. 3,000 points minimum payout. Accessorize. Your friend gets £5 off on an order of £30 or more, you get £10 off on an order of £40 or more. Airbnb. Earn £11 for every host you refer, when they complete their first reservation. Airyclub. Both get 5% off. Aspire Cosmetics. Refer friends to this start up to earn products - 8 sign ups for a cleanser to 50 for for a toner and gel cream set. Aspire Sports Trust. Refer a friend and get two months free membership. Auto Horn Fleet Services. Get £50 credit per successful referral. Averys Wine. Your friend gets up to £60 off an introductory case, you get a £20 voucher. Bang Good. Give $10 off orders of $100 or more, get a $3 voucher. Beauty Pie. Give a month free, get a £50 top-up added to your spending limit. Benefit. Your friend gets £10 off on their first order (£70+), you get a free Pretty & Primed Duo (Porefessional and Roller Lash Mascara) on your next order over £12. Betfair. (Gambling) Get £20 for every referral who meets the full offer criteria. Bizimply. Refer a business and get up to £500 if they become a paying customer. Bonmarche. Both get 15% off. Boohoo. Give 25% off, get £5 stackable credit. Brand Alley. Both get £20 off an order of £80 or over. Bulk Powders. Give your friend 25% off their first order of £10 or more, get a £10 voucher. My code is RAF4228890. Burrows Motor Company. £100 per successful referral. Cath Kidston. Both get 10% off. Celtic and Co. Give your friend £10 off their first order, get £20 off your next order of £70 or more. Celtic Leisure. (Gym) Get a month free. Charles & Keith. Give and get 10% off. Charles Tyrwhitt. Both get a £10 off voucher. Charlotte Tilbury Beauty. Give £15 off your friend's first order of £75 or more; get £15 off your next order worth £75 or more. Cheeky Munky IT Support. Give a free security audit worth up to £2,000, get an iPad Mini. Clean Shaven. Get 10% off. Cleva Group. (IT Support) Get up to £1,000. Come On. (Gambling) Get £10 credit in loyalty 'ComeOn!' Points, plus 10% of your friend's loyalty points earnings for life, when they deposit £20 and earn 5,000 ComeOn! Points. Co-operative Funeral Care. Both get a £50 Co-op Food voucher when your referral takes out a funeral plan. Designers' Guild. Give 20% off, get £30 off your next order of £150 or more. E-Cigarette Direct. Give your friend 250 reward points (worth £2.50), get 500 after they complete their first purchase. Emma Bridgewater. Give a free half pint mug when they spend over £40, get £15 off on your next order of £75 or more. Enterprise Car Club. Get £20 credit each. Exante Diet. Give a 35% discount to earn £10 credit per successful referral. My code is JESSICA-RWA. Feel Good Contacts. Give your friend 10% off, get £6 worth of reward points. My code is R2GG593T. Feel Unique. Both get 15% off. Fiverr. Give your friend 20% off their first order, get 20% of their first order amount (up to $100). French Connection. Both get 15% off on orders of £100 or over. Friends of Chatsworth Estate. Get a £10 voucher to spend in the estate shop. Glasses Direct. Give your friend £30 off their first order (over £49), get a £15 Amazon voucher. Go Nutrition. If your friend enters your referral code (mine is HAO5SS) at checkout they'll get 250g of free protein. If they spend over £10 you'll get £5 store credit. Go Vype. Get £10 credit for every referral who makes an order. Handepay Merchant Services. £50 per successful referral. Harvey Water Softeners Limited. Get six packs of block salt for every successful referral. Healthspan. Give £5 off, get 20% off your next order. Hippo [Car] Leasing. Get £50 for every successful referral. Hive. Give £40 off, get a free Hive Light dimmable bulb (worth £19) for every referral who purchases Hive View or Hive Active Heating. Hobbs. Give your friend 20% off their first order of £50 or more, get £20 off on orders of £100 or more. House of Hackney. Both get 10% off. Huel. Give £10 off your friend's first order (of £40 or more), and get the same in return. I-Motion Gym. Get a month free. I Saw It First. Give 40% off, get £5 credit. Ionos. (Web Hosting) Earn up to £300 per referral. Jamie Oliver Shop. (Home) Friends get 10% off their first order (of £50+), you get £10 store credit. Japan Centre. Give your friend £5 off their first order of £35 or more, get 100 loyalty points worth £1. My referral code is E2E12F. Joe Browns. Both get £5 credit to use against orders of £30 or more. Joseph Joseph. Both get 20% off. Karen Millen. (Fashion) Give 15% off, get £30 off your next order of £200 or more. Kate Somerville. (Beauty) Give and get 15% off. Kiwi.com. (Travel) Give 20 Euro credit, get 20 Euro credit when they book a trip worth more than 200 Euro. The invite must be sent via the website, please leave a comment / email me if you want one. Le Col. Give 20% off orders of £30 or more, get a £20 voucher - these can be stacked up to a value of £1,500! Leesa Mattresses. Get £80 with that referral link, share your own to get £30 cash for every person who buys through it. Links of London. Both get 15% off. Look Fantastic. (Fashion) Your friend gets £5 off their first order (of £25 or more), you get £5 credit. LOTD. Both get £20 off an order of £40 or more. Lottie Doll. Give 10% off, get loyalty points - amount varies with promotions, etc. Love Knitting. Both get 15% off. Lyle and Scott. Both get 20% off. Mankind. (Fashion) Give your friend £10 off their first order, get £10 store credit. My code is JESSICA-RNQ. Marriott. You get 2,000 bonus points for each stay your referral makes, your referral gets 2,000 bonus points after 5 stays. Medical Alert. Give your friend £20 towards their first order, get £10 credit. Quote my name and GB number GB329721. mFortune. (Gambling) Get up to £100 bonus credit. Missguided. Give and get £5 off. MissPap. Both of you get entry into a giveaway for a £150 voucher. Monsoon. Give your friend £10 off their first online order of £70 or more; get £15 off on orders of £75 or more. Moo. Give your friend 25% off their first order, get £15 credit. They also have a business referral scheme for business that employ more than 10 people; they get discounts and an account manager, you get £100. Music Magpie. You both get £5 each when your friend completes their first trade. MyPostcard.com. This is a really cool site that lets you send personalised photo cards and postcards - for free! (Read my full review HERE.) Sign up with a referral code to get $3, enough to send a postcard in an envelope, then refer a friend for you both to get $3. My code is JESSICAGJA6. My Protein. Your friend gets 35% off an order of at least £40, you get £20 credit. My Vitamins. Get £5 for each friend who makes an order - they will get 25% discount. Nasstar. (Web Development) £1,000 per successful referral. Nature's Best. Give £5 off your friend's first order of £15 or more (quote 'Jessica Powell - jess@babiafi.co.uk'), get £5 off your next order of £15 or more. Northwest Guitars. Both get a £5 off coupon. Oasis. Both get 15% off. OddsMonkey. (Matched Betting Service) Get £15 for every referral who signs up to become a Premium member. Must be a premium member yourself. ParcelHero. Get £5 credit for every friend who signs up and pays for their postage through the site. Pay As U Gym. Give your friend 25% off a gym pass when they place their first order with the site, and in return you get £10 off your next order. Pegasus Life. Get £1,500 each when your referral buys a property. Phase Eight. Both get 20% off. Plumo. (Fashion) You both get 10% off. Pocket Win. (Gambling) Give up to £10 bonus credit, get £5 bonus credit in return. Polar Plus. (Car Charging) Both get £10 credit. Polaroid Originals. Give 10% off your friend's first order, get 10,000 loyalty points - aka £8 credit. Ponders Travel. If you've booked with them before you can recommend a friend and get a £30 Love2Shop voucher - your friend will get a £20 voucher once they've booked their holiday. Pop Spins. (Gambling) This free to play slot game lets you cash out once you've made $100; you'll both get extra spins. Pretty Little Thing. You both get 20% off an order, then once you've referred five friends you'll get a £20 bonus. Profit Accumulator. (Matched Betting Service) Get £10 when your referral takes out a month's platinum membership. My referral code is 346288. Property Partners. Starts at £60 per referral who reaches over £2,000 investment, up to £1,500 for investments of £50,000 and over. Public Desire. Give and receive 25% off. Push Doctor. Use a referral code to give both you and the referrer £5 credit. My code is jessica4856. Radley London. Both get £15 off on a spend of £80 or more. Readly. Give a month free, get a month free. Redrow. Get £500 on completion of your referral's sale. Reeds Rains. Get a £50 Amazon voucher. Regus. (Office Space) £500 each for a successful referral. Rewards 4 Racing. You both get 500 bonus points once your referral completes an online purchase. Ribble Cycles. Both get £10 off when your friend makes a purchase. River Island. Give your friend 15% off their first order online, get £10 credit to use on your next order of £40 or more. Roman Originals. Both get 20% off your next order. Sansome & George. (Real Estate) Get £100 on successful completion. See Sense. Give 15% off, get a free t-shirt. SEO Clerks. Get 10% of your referral's spend. Simba Sleep. Give £50 off, get a £50 Amazon voucher. Simplilearn. Give 20% off on courses over $200, get up to $100 in Amazon vouchers. Smarkets. (Gambling) Both earn £10 bonus if you meet all the eligibility criteria. Space NK. Both get £10 off and free delivery on orders over £40. Sunday Times Wine Club. Give up to £59 off an introductory case, get a £20 voucher. Sunglasses Shop. Give £15 off, get a £15 Amazon voucher. Sweaty Betty. You will both get £25 off orders of full price items of £100 or more. Swoon Editions Furniture. Give 10% off purchases over £200, get £50 store credit. Tarte Cosmetics. Both get 15% off. Team Profit. (Matched Betting) Get £10 for every friend who signs up and goes on to start with Betfair or Smarkets. Money is paid out into Paypal on the 7th of each month. The Book of Everyone. Give 20% off and get a free postcard booklet. The Perfume Shop. Give £10 off on orders of £50 or more, get £10 credit. Thermishop. Both get 10% off. Tokyo Laundry. Give and get 25% off. Tombola. (Bingo) Give £5, get £20 bonus credit. TomTop. Get points towards a free gift. Trouva. Both get 15% off. Unibet. Get £60 per referral. Vans Direct. Get £100 when your referral buys a van from them. Vision Direct. Your friend gets 10% off their order and, after they've placed it, you get £5 towards your next purchase. My referral code is 2689919P. Vivo Life. Give your friend 10% off their first order, get a £10 voucher. Vivobarefoot. You both get £25 on orders of £100 or more. Vova. Both get 5% off. Warehouse Aquatics. Both get £10 to use on orders of £40 or more. Invites must be sent via email - please let me know if you want one. Weight Watchers. Both get an extra month's membership free. WeShop. Earn various rates on purchases your referral makes over £25. White Stuff. Give 20% off, get £10 to spend on orders of £50 or more. Woolovers. Give and get 20% off. Your Move. You both get a £50 Amazon voucher. Zavvi. Give £5 off your friend's first Zbox, get £5 credit. My code is JESSICA-R3DI. Zipjet. (Laundry Service) Both get £15 credit. Zizzi. (Restaurant) Give your friend £10 off their bill, get a £10 voucher. 1p Mobile. Get £5 bonus credit each. Alliance Trust Savings. They get a £25 M&S voucher, you get a £50 M&S voucher. Boost. Both get a £25 gift card (retailer not specified) when your friend switches. Bristol Energy. Get £20 credit each. British Airways American Express. Your friend gets 6,000 Avios points if they spend £1,000 in the first three months of card membership, you 4,000 bonus points. Bulb. You both get £50 when your friend switches. Bullion By Post. Both get a free 1oz Silver Britannia coin with orders of £250 or over. Cuvva. (Car Insurance) Both get £10 credit. Delight Mobile. Get £5 credit for every referral who tops up £10 or more. Ecotricity. Both get a £25 voucher for Ethical Superstore. FairFX. Refer a friend for a prepaid FairFX currency card and earn up to £50. Your friend will get a bonus £10 on their card when they load it with £500. My promo code is hlprr5h5. First Utility. You both get a gift card. GEM Motoring Assist. Get a £20 M&S voucher. GiffGaff. Give £5, get £5 payback - i.e. 500 points. Once you've made 1,000 points you can convert it to cash. Green Network Energy. You both get £30 bonus credit when your friend switches. Green Star Energy. Get a £20 Love2Shop voucher each. Habito. (Mortgages) Get £100 cash reward each. Health-on-Line. Both get £100 M&S voucher when your friend's been a member over 60 days; you need to have a live policy. Insurance With. You both get an entry into a draw to win £100. Just Credit Union. Get £5 each. Kuflink. 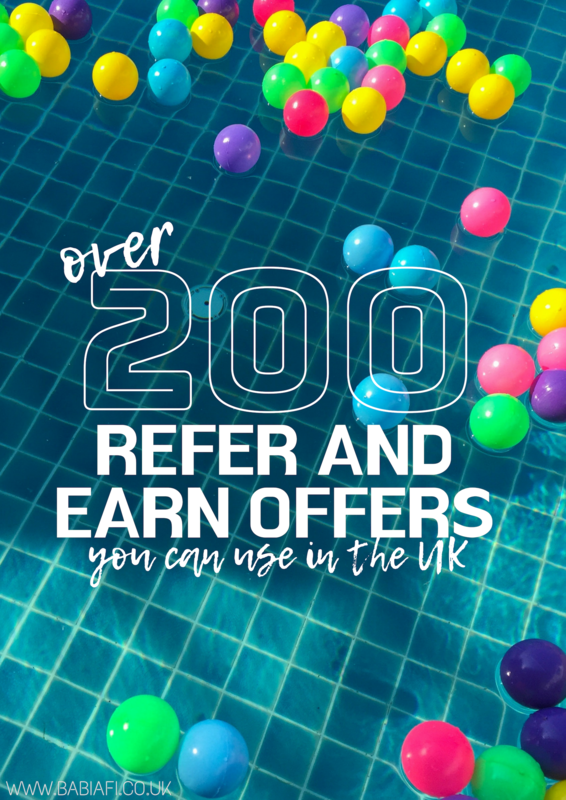 Get up to £250 cashback per referral - you must have invested a minimum of £100 in the platform yourself to be able to refer. Lending Works. Rewards for both once your referral has borrowed at least £1,000. London and Country Mortgages. Give a £5 Amazon voucher, get up to £25 worth of Amazon vouchers. Look After My Bills. Get £20 each. Lycamobile. Get £5 credit when your friend tops up their account. Mobiles.co.uk. Get up to £50 for every referral. Monese. You both get £10 when your referral opens an account and transfers £50 or more. MoneyCorp. Both get £75 when your friend completes a foreign exchange transaction worth £2,500 or more in the first three months of their account. Nationwide. Both get £100 when your friend switches their current account. Nixon Williams Accounting. Get £100 per referral. Nutmeg. Your friend gets no Nutmeg management fees for six months, you get a bonus £100. O2. Both get a £25 Amazon voucher. Ovo Energy. Both get a choice of John Lewis, M&S, or Amazon vouchers worth £50. Plan Insurance. Both get £25 credit. Plusnet. Save up to 75p per month on your bill for every referral. Post Office Phone & Broadband. Both get £20 credit when your friend signs up. Profit Accumulator. Platinum members can earn £10 for every referral, plus a bonus £25 for ever 5 referrals. Protectivity Insurance. Give 5% off, get £5 credit. Qdos Contractor. Get a £20 Amazon voucher. Quickline. Get £25 credit per referral. Raisin. Both get £50 when you refer a friend who funds a savings account with £5,000. Ria. Get a £20 prepaid Mastercard when your friend signs up and transfers money. Rift. (Tax Refund Specialists) Get £50 per referral. Relish. (Internet) Get a £20 Amazon voucher each. Safe Style UK. You both get £50 when your friend makes their first purchase - for the existing customer to get the award they need to manually claim with friend's name. Scottish Power. Get up to £50 each. Simply Business. Your referral gets a £25 giftcard, you get a £50 giftcard. Simply Health. If your friend uses your referral to take out a policy they get a month free, and you get a £20 Love2Shop voucher. Sky TV. Both you and your referral get a £75 prepaid Mastercard. Smarty. Give two months free, get a month free and a £10 Amazon voucher when your friend registers their SIM and uses it for two weeks. Spark Energy. Both get a £20 Amazon voucher when your friend joins. Tesco Mobile. Both get £20 credit. Three. You and your friend both get a £25 Amazon voucher when they take out a phone contract. Transfer Go. You'll both get £10 once your friend has transferred £50. My referral code is 3qJmxX. Unshackled. Your friend gets £20 off their next phone purchase, and you get £20 store credit 30 days afterwards. Utilita. Your referral gets a £20 Amazon voucher, you get £20 credit. Utility Warehouse. Get a £20 gift voucher for every referral who takes out a gold package, plus another £10 for every referral still with them at Christmas. Your friend will have to ring 0333 777 3 212 and quote your membership number. Vectone Mobile. Get £5 credit for every referral who tops up £10 or more. Virgin Media. £50 off for you and your referral. WeFunder. Give a business $1,000 discount on their campaign fees, get $1,000 in return. Western Union. Give and get a £20 transfer fee discount when your referral completes a £50 transfer. Worldpay. Get a £100 Amazon voucher each after your referral completes their first transaction. Yellow Jersey. (Bicycle Insurance) Both get £10 credit.